Curses. 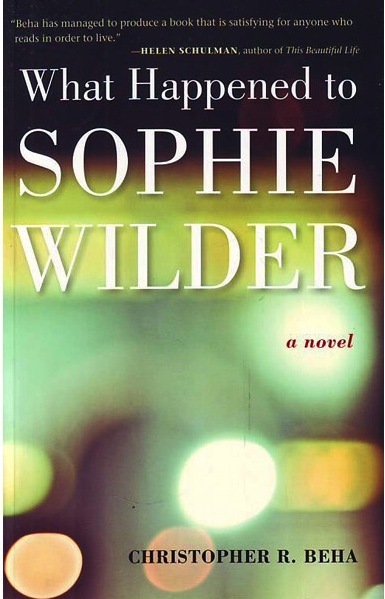 Right now I’m sitting here wishing that I was in a book club that just finished reading What Happened to Sophie Wilder by Christopher R. Beha instead of not being in a book club and having just finished reading What Happened to Sophie Wilder by Christopher R. Beha. Alone. In a bathrobe. While my boyfriend is lying on the couch next to me, in the early chapters of Gone Girl by Gillian Flynn. There are so many things I want to talk about. I want to deconstruct characters, especially Sophie. I want to talk about the way Beha writes about religion. I want to talk about dramatic quotes. I want to spoil the ending. (I won’t). You know how some people associate numbers with color? When I think of this book I see a thick hearty sandwich with prettily layered ingredients where every flavor is distinct and fresh and really pops. When the novel opens, Charlie Blakeman is ten years removed from college but still living in this kind of post-college in-between zone filled with parties and pretentious banter. He lives with his cousin Max, a film critic for an alt weekly. Charlie has just gotten a novel published — one of those thinly veiled memoirs — and instead of landing with a thud it blew into the world and out the back door without notice. He’s struggling to write his next book. Then: In walks Sophie. They met in a college writing class and she was the star pupil. 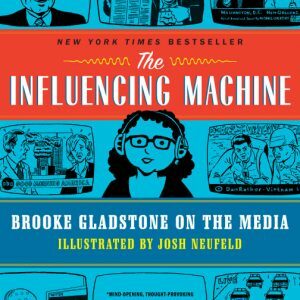 Instead of passing around six-page short stories for critique, she plops down 75 pages of well-considered plot. Sophie and Charlie develop a friendship — sometimes more than friendship — and act as slow dancing muses for each other. They have a falling out and never recover. It’s been more than a decade since they spent any significant time together. If she can sit still long enough, this might change. 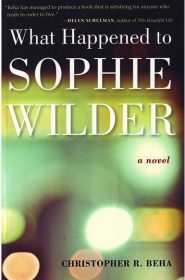 So what happened to Sophie Wilder? Well. She got married to Tom, a vanilla law school dolt. She wrote and published a promising book. Mostly, though, she converted to Catholicism and retired from the writing game. And fairly recently she took on nursing her husband’s estranged and ailing father as he waited to die — even though she, too, is now estranged from said husband. Charlie’s story is told in first person in alternating chapters with Sophie’s, who gets third person treatment. Charlie tries to weave his way back into Sophie’s life when he has the microphone, Sophie’s story is about becoming a devout Catholic and caring for Bill Crane. Beha has created an interesting dichotomy between Charlie, lapsed Catholic, and Sophie, who is living in a way that is 100 percent in compliance with the Pope. Beha handles her conversion and lifestyle in a way that is very tender, well considered, genuine and not at all the caricature it could have become. In one scene, Charlie thinks about when Sophie told him that she had tried to save Bill Crane’s soul. There are things I don’t like about this book. Most importantly, Charlie Blakeman is a sad sack little loser. He’s easily molded into submission by the wild child Sophie, who recreationally bangs other dudes not quite with his permission but with his understanding that if he wants to be with her he has to sign off on her rules. Of course, this might be worth it. Sophie is a really great character who teaches him a lot about literature and, artistically, they feed off each other (and booze and cigarettes). Together they make a really nice aesthetic of what you hope college will be like: Two people creating and getting bigger and better. Ultimately Charlie does stand up to her when she does something pretty unforgivable. Still, he forgives his cousin — the other half of the unforgivable act. Also: There are some wide load gestures with Sophie as a Christ-like character. There is a sponge bath scene where she washes away Mr. Crane’s messy accident and in another scene she feeds him his pain pills in a way that smacks of communion. This goes just a millimeter too close to getting walloped with a bible. 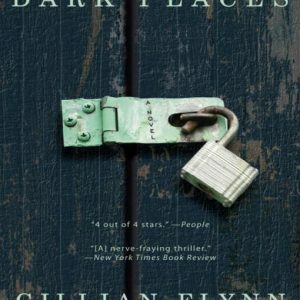 None of these grievances are distracting enough to take away from the fact that this is a lovely book and a truly unique story.